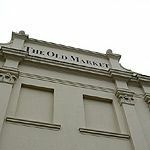 The Old Market is a performance, workshop and exhibition space in the heart of Hove's Brunswick town. 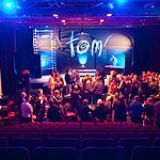 The venue has a state of the art sound and lighting system but manages to preserve the venues acoustic qualities. What did you think of The Old Market? The Old Market has always been an excellent venue presenting an eclectic selection of productions but on July 26th. We saw fine chisel - what a performance! Their quirky production of Unplugged and Midnight at the Boar's Head had us rolling with laughter, never knew that Shakespeare could be so much fun! This was a pre-Edinburgh production and I just hope anyone 'up there' will go and support this fantastic group!